Only the host needs to own the DLC, so if you get it then you can invite all of your friends to play. You can also hang around the TTS lobby and see if someone who’s already got the game is willing to show it to you. If you decide that you’d like to give the digital version a whirl, you can buy it on steam for a fraction of the price of a physical copy. Hi. I’ve bought the digital version and have been having a blast, however I would like to bring it to a family gathering without organizing a laptop array and $112.95NZ is a bit out of my price range, so I was wondering if there might be any way to acquire the print and play version. 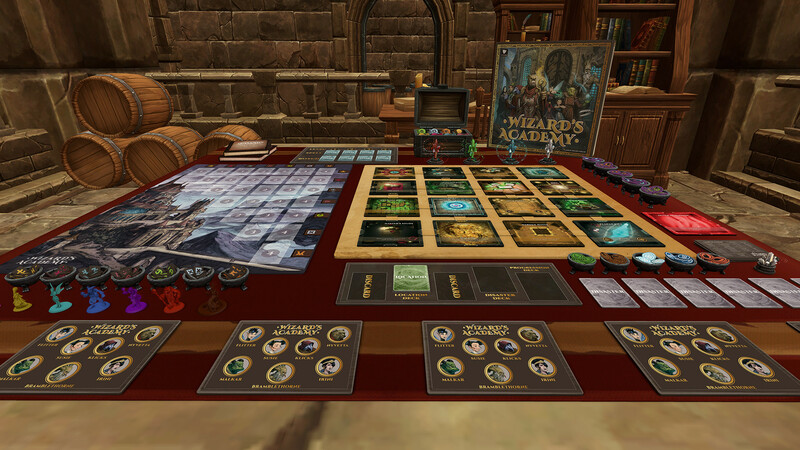 A major problem with the Tabletop Simulator version of this game is that the font in the manual is extremely faint and almost impossible to read. I can’t imagine reading it on a laptop monitor. I hope this can be addressed, because the game sounds like loads of fun, but there’s no way I’m going to be able to get friends to play it as it is now. I can’t change the content in TTS itself, but that should provide a readable version of the rules.